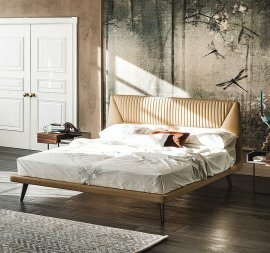 Cattelan Italia is one of the most well-known manufacturers of modern Italian furniture—and for good reason. 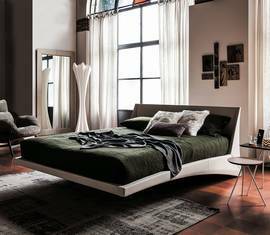 For close to four decades, the brand has been making contemporary furniture including a line of high-quality and sturdy beds. The frames are made of either Canaletto walnut or burned oak. 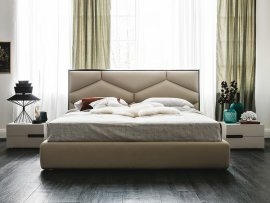 The upholstered part—the headboard or the body—is covered in any of the brand’s fabrics: synthetic nubuck, micro nubuck, synthetic leather and soft leather. All these are available in a variety of colors. 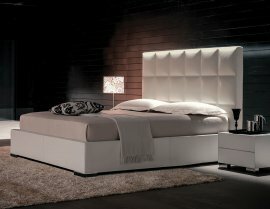 There is also a line of Cattelan Italia beds that contains pull-up slats for storage.